KUWAIT CITY, April 12: Ministry of Health is still burying its head in sand by refraining from facing the fact that scabies is spreading in Kuwait and denying once again the latest report in this regard published in Al-Seyassah daily, reports Al-Seyassah daily. The ministry had issued a statement to insist that the statement of Head of Skin Diseases Department at Ministry of Health Dr Nawaf Al-Mutairi, which was published in Al-Seyassah daily, is incorrect. However, a series of recorded materials and documents in the possession of the daily disprove the ministry’s statement. 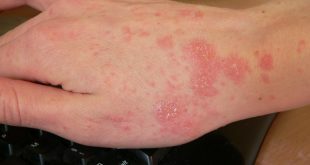 Creators of the rumors as well as those who hide the truth about the spread of scabies including senior officials of Ministry of Health must be questioned instead of directing accusations at Al-Seyassah daily. Along with confirmation by Head of Skin Diseases Department about the lack of medicines for treating scabies, new episodes in the series of medical scandals are emerging. The ministry imported large quantities of Para Plus medicine, which is used for treatment of lice infections, and turned them into medicines for treating scabies by placing printed stickers on the containers of those medicines to claim they are medicines for scabies. In this regard, Undersecretary of Ministry of Health Dr Mustafa Redha has issued a decision to form a committee headed by General Surgery Consultant Dr Mohammad Al-Othman. This committee will be assigned to investigate the import of the abovementioned medicine and figure out the facts behind this issue. He also assigned the committee to prepare a detailed report with recommendations to prevent such a situation from occurring in the future. The work of the committee has to end within two weeks from the date of its first meeting. This committee includes Consultant of Skin Diseases at Adan Hospital Dr Adel Abdulrazzaq, head of Department of State Sector Inspection from the Medicine Inspection Division, head of Pharmacology Office in Capital Health Zone, and legal researcher from the Legal Affairs and Investigations Department. The committee will be authorized to view all relevant documents and listen to those who can help in discovering the facts. However, the decision of the undersecretary did not clarify any details concerning the issue. In this regard, medical sources explained that the ministry, about two years ago, imported 60,000 containers of a medicine used for treating lice and nit infections. Such huge quantities of this medicine were not required. Therefore, stickers were recently placed on the containers on which it was printed that the medicine is effective in treating scabies. Meanwhile, Head of Skin Disease Department at Ministry of Health Dr Nawaf Al-Mutairi has issued an applicable statement to withdraw his previous statement and recorded speech. He is now on the side of the ministry concerning the denial, and had even applauded the performances of the senior officials of the ministry. Regarding the retraction of the statement previously issued by him, Dr Al-Mutairi said, “Nobody dares make any announcement that contradicts the statements of Ministry of Health at Adan Press Conference.” He stated that Minister of Health Dr Bassel Al-Sabah and the Undersecretary Dr Mustafa Redha are new in the ministry and are trying their best to deal with such situations. Dr Al-Mutairi declared that the statement issued by the ministry to claim that the rate of infections is within the normal average conforms to the World Health Organization standard. He refuted the claim that there was ever an epidemic or high number of cases of scabies in Kuwait. However, this contradicts his previous recorded statement in which he declared that there are around 270 cases in Adan and Jahra hospitals, and that this is a fact that the minister or any other official cannot deny. 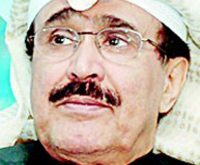 Despite the fact that the recordings, which can confirm his statements, are available, Dr Al-Mutairi insisted that there was not an iota of truth in everything published in the media that quotes him on this issue. He stressed that the statements were baseless and involved distortion of information for specific objectives. Dr Al-Mutairi counseled that journalists should abide by professional ethics by sticking to facts. Dr Al-Mutairi allayed fears of citizens and expatriates in this regard, urging them to ignore the media reports and seek reliable information from the official and authoritative channels.